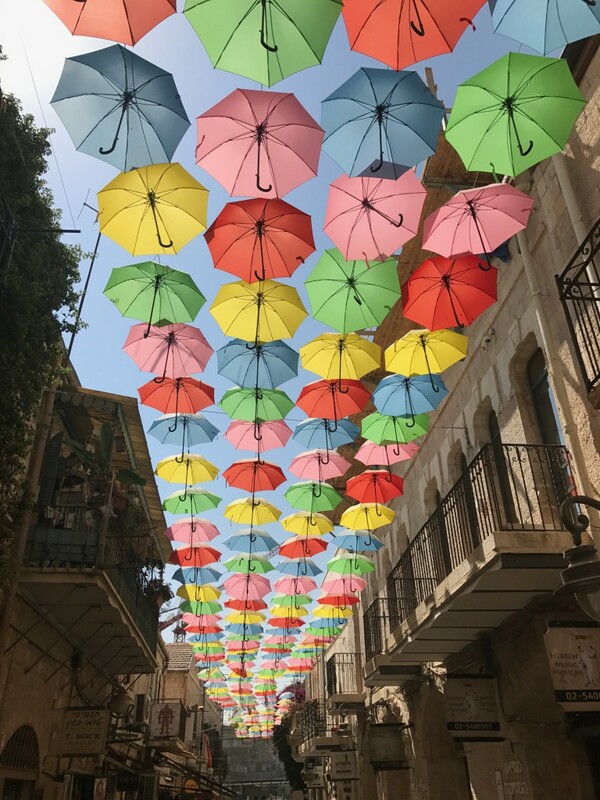 A friend who is in Israel for a wedding sent me this picture.Â I love how something so simple – umbrellas – become something wonderfully beautiful when used en masse and in an inventive way.Â These colorful umbrellas reminded me of a picture I took earlier this summer of a recently renovated apartment building on Eastlake. 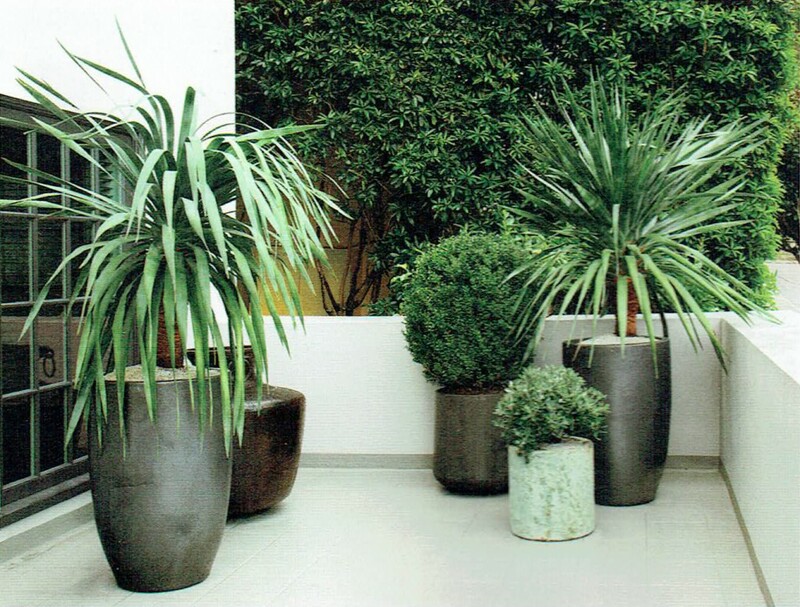 Each apartment front door is a painted vivid accent color. 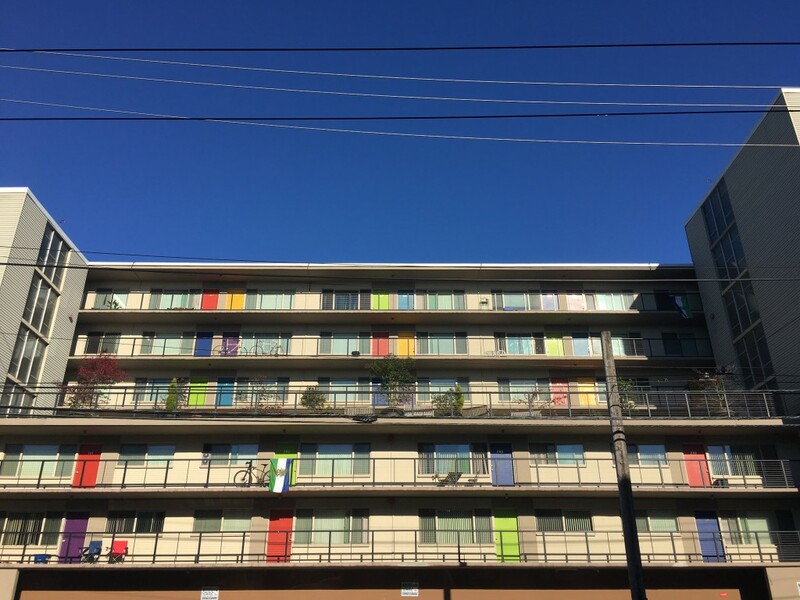 Together, the doors create a colorful, dynamic and wonderfully unexpected and happy facade for what is otherwise a drab and monotonous building. Â I love how these apartment doors illustrate that you can often achieve spectacular results with simple, inventive changes. 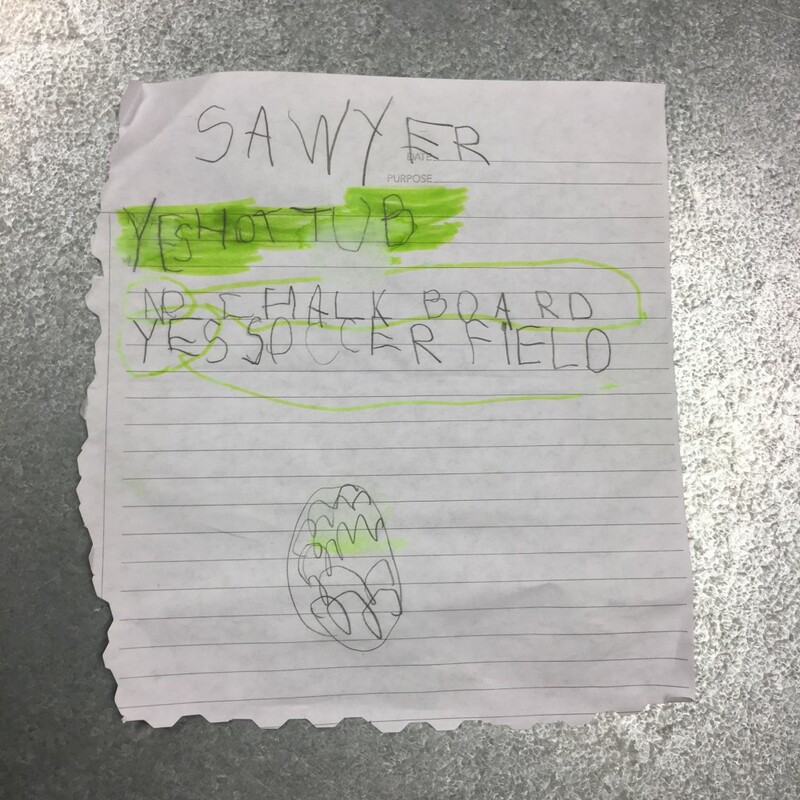 It’s been a busy and exciting Spring and Summer at SEI. 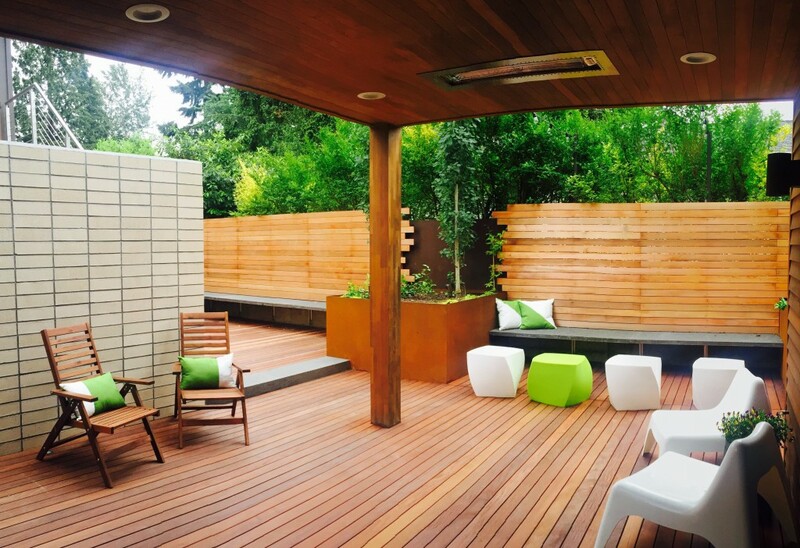 We’ve been working on many interesting projects — from tiny back yards in Capital Hill, Green Lake and Montlake designed to maximize outdoor living, to a spectacular terrace garden highÂ above SecondÂ AvenueÂ inÂ downtown Seattle, to a landscape for a traditional Japanese Tea House. 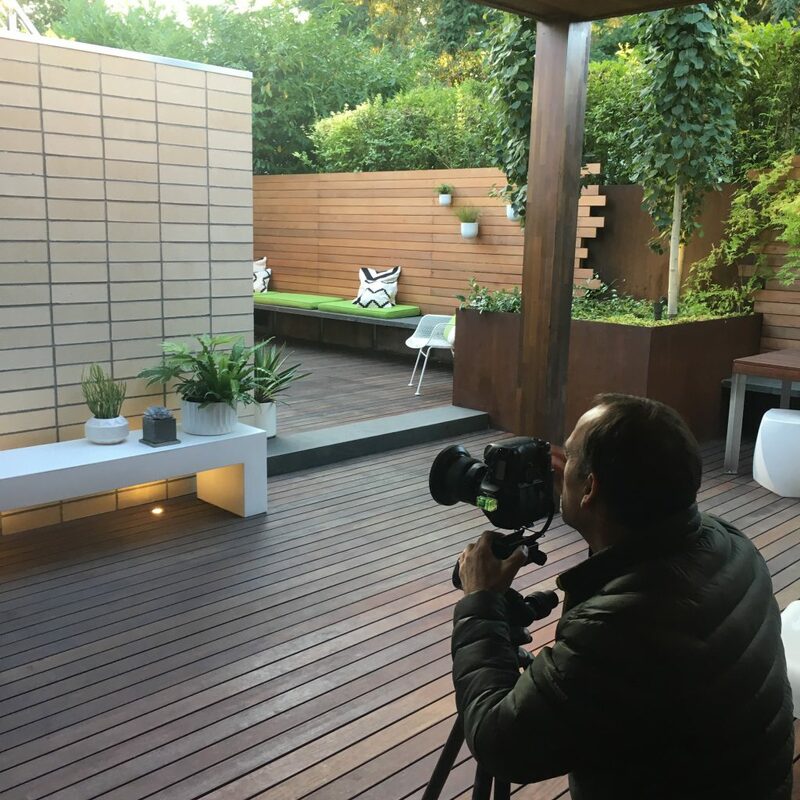 Our website will soon be updated with some new projects as well. 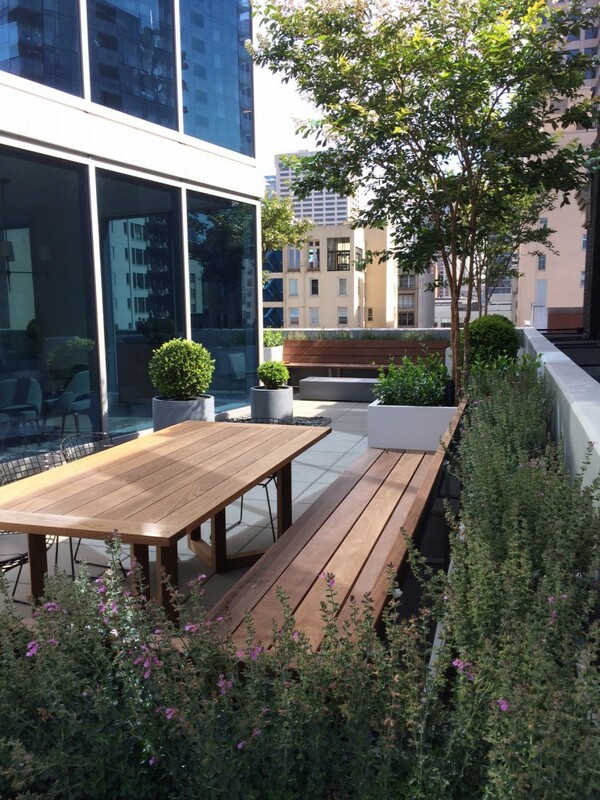 Here’s a sneak peek at the Second Avenue Terrace garden. I know we’re all getting tired of this year’s rainy and cloudy spring. Â I just heard someone refer to it as “Maytober”. Â There is one positive aspect of this, however.Â Â All the cloudy and overcast days are great backdrops to showcase our gardens and all the different colors of green as the new foliage emerges. 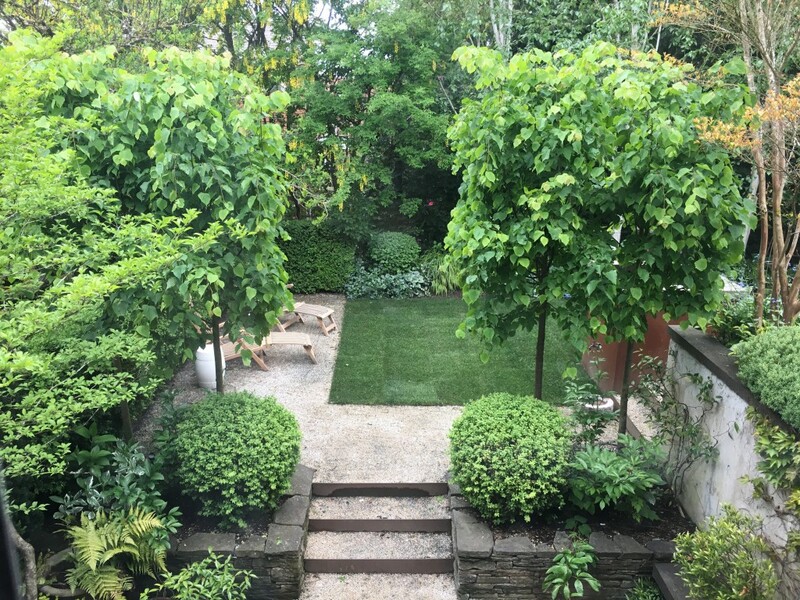 Pantone must have had this in mind when they selected this year’s color of the year – “Greenery”.Â As I was putting my daughter to bed a couple nights ago, I looked out into the garden and enjoyed all the different shades of green – made all the more vivid by another cloudy Seattle day. 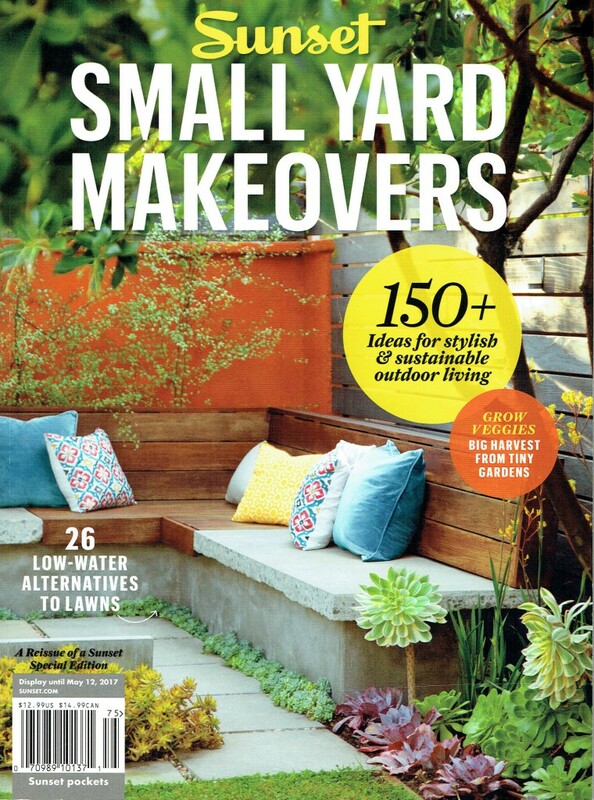 The current issue of Garden Design magazine includes a great article with 20 strategies for designing small spaces.Â Read Functionally Carefree to learn about my philosophy of âmaking every element count – at least twice" in a small space and see a wonderful backyard retreat in Greenwood. 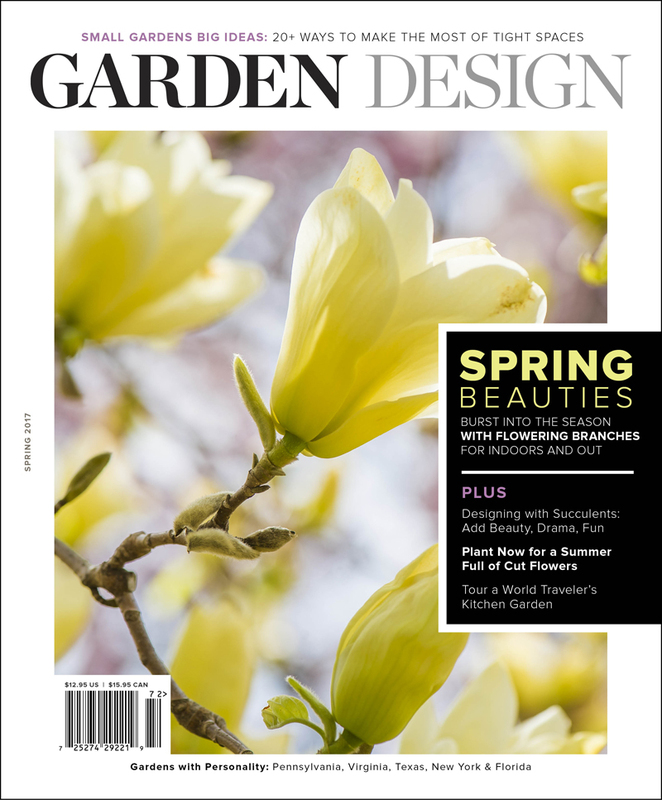 You can pick up a copy of Garden Design at Barnes and Noble – or better yet, subscribe.Â Garden Design is a quarterly 148 page coffee table worthy magazine – with no ads!Â Each issue is filled with stunning gardens and great articles on design and plants.Â Here’s a special link from Garden Design for a free issue with your subscription. 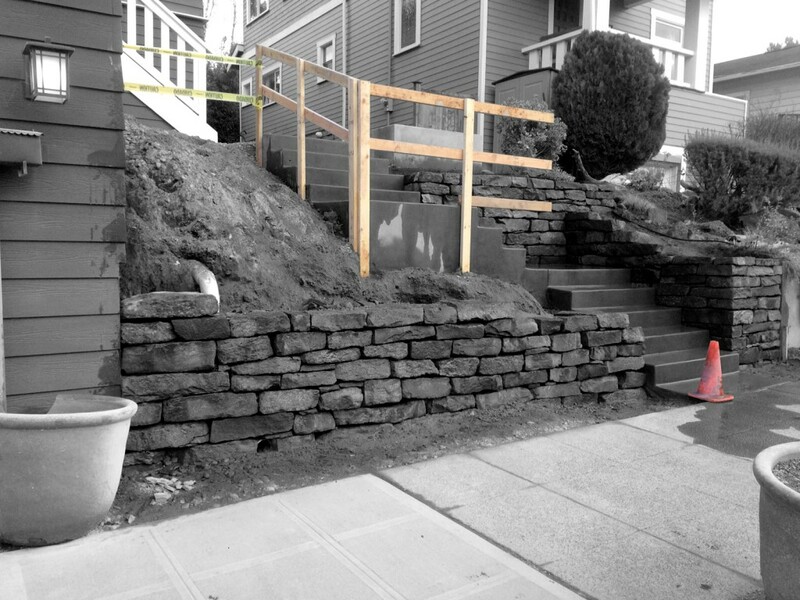 I was scrolling through the photos on my phone this evening when this picture caught my attention.Â It is of a garden on Capitol Hill that we installed last winter.Â The reason I originally took this picture – and why it caught my attention again – is that it captures the essence of much of our work. 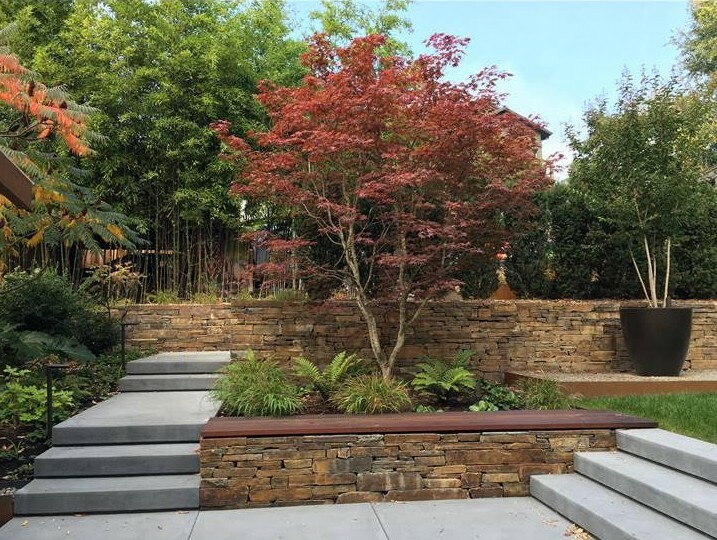 There is a strong hardscape design with a mix of materials, so the garden looks great all year long.Â Interesting details (like the shadow line on the stair’s riser and the Ipe cap on the stone seat wall) add richness.Â The planting offers a great visual contrast to the hardscape in both its texture and color.Â And what you can’t see from this are the multiple outdoor living spaces.Â I look forward to sharing more about this garden in the coming months – especially the Mugnaini wood burning pizza oven.